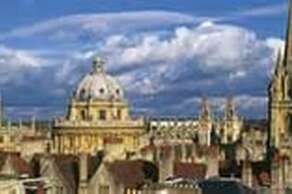 The city of Oxford revolves around its prestigious university, established in the 12th century. The architecture of its 38 colleges in the medieval centre led poet Matthew Arnold to nickname it the 'City of Dreaming Spires'. The River Thames flow along the western and southern edge of the city and is easily accessible - beyond the river is predominately countryside and the River Hotel is well located in the middle, walk one way to the city, walk the other way to explore nature. 10 minutes - all of of Oxford's attractions and facilities. 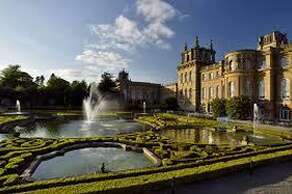 Blenheim Palace offers a wonderful day out for all the family, situated in the delightful town of Woodstock, 8 miles from Oxford and 20 minute drive. Bus S3 travels from Oxford Rail Station and takes around 30 minutes. Blenheim palace was built between 1705 and 1722. The Park and Gardens at Blenheim provide a majestic formal setting for the Palace. You will be inspired by the majesty of the Palace, delighted by the interior filled with treasures and intrigued by the apartments devoted to Sir Winston Churchill. There are gardens in a variety of styles;lakes to row on, an adventure play area for children and even a narrow-gauge railway to take you from car park to the Palace. Blenheim Palace was built for the National Hero John 1st Duke of Marlborough and his Duchess Sarah, given by Queen Anne as a gift in reward for his military services. Nearby Bladon is famous as the final resting place of Winston Churchill, Prime Minister of Britain during the Second World War. Enhance your visit with the range of tours and exhibitions included in your admission price, including a tour around the State Rooms, our Churchill exhibition,The Untold Story visitor experience, and our many self-guided trails around the Park and Formal Gardens. In June 2018, we launched a new audio guiding system, giving you the opportunity to immerse yourself in 300 years of fascinating history at your own pace. Audio guide handsets are available in nine languages: English, French, German, Italian, Spanish, Dutch, Mandarin, Japanese and Russian. This exhibition presents some of Turner’s first commissions, focusing on his increasing expertise in depicting architecture and perspective. We are very excited to welcome back Fantastic British Food Festivals to host the sixth annual Blenheim Palace Food Festival. The world's premier competition and exhibition specialising in garden, plant, flower and botanical photography. The ever-popular Blenheim Palace Flower Show will return for its seventh year in June. Returning for its 29th year, the SsangYong Blenheim Palace Horse Trials are a must for any eventing enthusiast. Oxford University is made up of 38 colleges spread across the city, most located in the small compact easily navigable city centre. There are many different buildings, including academic departments, colleges and halls, located around the centre of Oxford. Many University buildings, such as gardens, libraries and museums, as well as many of the colleges, are open to visitors during the day. Nuffield College is the closest main college building to the River Hotel which is conveniently located just across from Oxford Castle;five minutes walk from the hotel. The River Hotel and indeed most of West Oxford is built on Christ Church owned land, making Christ Church one of the wealthiest of the main colleges. Christ Church is also famous for educating some of Britain's Prime Ministers, author Lewis Carroll and more recently the film location of J.K. Rowling’s Harry Potter books. You can reach Christ Church via a leisurely walk along the towpath of the canalised River Thames to Folly Bridge. 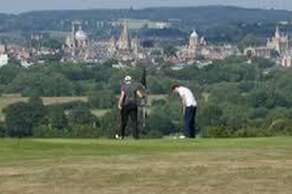 At Hinksey Heights - The Oxford Golf Course - you will find an 18 hole championship course with the most remarkable views of Oxford's 'dreaming spires'. Set just on the edge of the city there is also the 939 yard nine hole Par 3 Spires Golf Course as well as a foot-golf course. The River Hotel is on the west of Oxford and only a ten minute from the Hinksey Village and North Hinksey Golf Club, accessed from the A34. The Sheldonian Theatre, an exquisite Grade I listed building situated in Oxford’s city centre, is the official ceremonial hall of the University of Oxford. Some of the ceremonial activities that take place in the Theatre include matriculation, graduation ceremonies, Encaenia and Congregation. The Theatre is open to the public to visit when not in use. This unique historic Oxford venue, designed by Sir Christopher Wren, can also be hired for concerts, meetings, lectures, talks and other events. 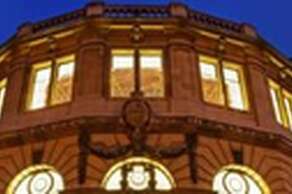 The Sheldonian Theatre is in the centre of Oxford and a 15 minute walk from the River Hotel. Founded in 1860 as the centre for scientific study at the University of Oxford, the Museum of Natural History now holds the University’s internationally significant collections of geological and zoological specimens. Housed in a stunning example of neo-Gothic architecture, the Museum’s growing collections underpin a broad programme of natural environment research, teaching and public engagement. Offering an escape from the hustle and bustle of the City, but conveniently located right at its heart, is a green oasis offered by University Parks. Aiming to be available for the enjoyment of members of the University, local residents, and visitors to Oxford the park is open to the public almost every day of the year until dusk (the only exception being Christmas Eve) and boasts a choice of walks, a large collection of trees (there are over 100 different varieties from all around the world) and plants and space for informal games and picnics. For those that enjoy sport there is the opportunity, depending on the season, to catch a game of cricket, lacrosse, tennis, football or rugby. The Pitt Rivers Museum displays archaeological and ethnographic objects from all parts of the world and all time periods. It is truly a global museum. The museum is also a teaching and research institution and the curators are also university lecturers in either cultural anthropology or prehistoric archaeology. The museum was founded in 1884 when General Pitt Rivers, an influential figure in the development of archaeology and evolutionary anthropology, gave his collection to the University of Oxford. 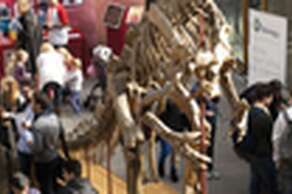 The museum is located next to the Oxford University Museum of Natural History, University Parks is nearby. Situated in north Oxford, it is a 20 minute walk from the River Hotel through the centre of town. Still a good time of the week for a relaxed visit - space to draw, a chance to study or simply to stand and stare. At 10.45 watch a 45minute audio-visual presentation featuring Sir David Attenborough, introducing many familiar, and some easily missed, treasures of the collections. 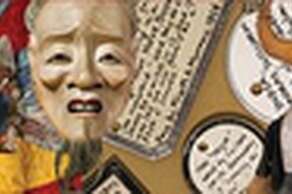 This is followed by Welcome to My Museum (11.30, 10 minutes), a short film imagining a meeting between the two Victorian founders of the Pitt Rivers Museum and our neighbour, the Museum of Natural History. 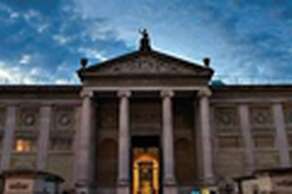 Founded in 1683 the Ashmolean is the world’s oldest public museum with incredibly rich and diverse collections ranging from Egyptian mummies to Pre-Raphaelite paintings to contemporary art. The Ashmolean is open from Tuesday to Sunday and Bank Holiday Monday from 10am–5pm. The rooftop restaurant entrance is on St Giles with some marvellous views during the day. It is a 15 minute walk from the River Hotel to the Ashmolean Museum, along Hythe Bridge st and Beaumont street. The New Theatre offers a unique facility within the historic city of Oxford. 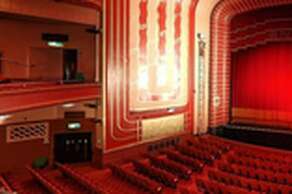 The New Theatre opened in February 1934 with a revolving stage and increased capacity of 2000 (1,710 seated). 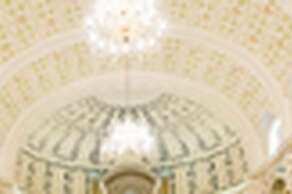 Following a refurbishment in 2003 the theatre reverted back to the name New Theatre. It is less than 10 minutes walk from the River Hotel to the New Theatre on George Street, where there are plenty of pre theatre bars and dining options. There is a taxi rank at the bus station. 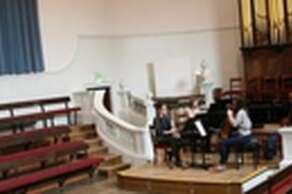 The Holywell Music Room is the oldest concert hall in Europe, built in 1742, and is famed for its excellent acoustic. Handel is among the many famous composers and musicians to have appeared here.